Critics have claimed that Jean-Jacques Rousseau was a primitivist uncritically preoccupied with "noble savages" and that he remained oblivious to the African slave trade. Fugitive Rousseau presents the emancipatory possibilities of Rousseau's thought and argues that a fresh, "fugitive" perspective on political freedom is bound up with Rousseau's treatments of primitivism and slavery. Rather than trace Rousseau's arguments primarily to the social contract tradition of Hobbes and Locke, Fugitive Rousseau places Rousseau squarely in two imperial contexts: European empire in his contemporary Atlantic world and Roman imperial philosophy. 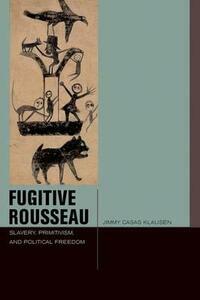 Anyone who aims to understand the implications of Rousseau's famous sentence "Man is born free, and everywhere he is in chains" or wants to know how Rousseauian arguments can support a radical democratic politics of diversity, discontinuity, and exodus will find Fugitive Rousseau indispensable.